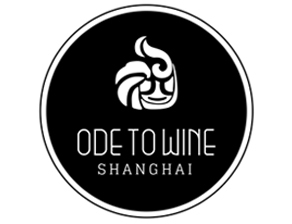 Located in Shanghai’s Pilot Free Trade Zone, Ode to Wine Supply Chain Management Co. is a wine importing and wholesaling company which seeks to connect quality wineries around the world to Chinese wine distributors with vast and well developed distribution networks. Our company consists of a small international executive team of highly experienced individuals who work hand in hand with our purchasing and sales departments. Ode to Wine’s vast network of Old and New World wine producers as well as our in-house brand consultation and design team allows us to provide a holistic range of services to meet all of our customers’ private label needs. In addition to offering branding and designing services, we also take care of everything from wine selection and quality control to the shipment of bottled wines in order to offer a smooth and hassle-free experience. In September 2015, with a stockpile of over 1 million bottles of wine in our warehouse in the Shanghai Free Trade zone, Ode to Wine launched a WeChat-based wine delivery service. Through our WeChat official account you can browse our mobile shop and find great deals on wine delivered right to your door. To make our customer experience as smooth and hassle-free as possible, we accept payment via WeChat wallet, Union Pay and cash on delivery. It is our goal to use our position as a high-volume wine importer and wholesaler to deliver the best value to our customers.